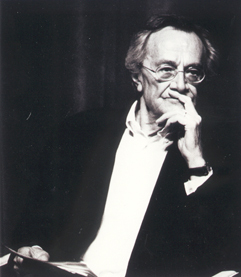 A short account of academic Jean-Francois Lyotard's time as a revolutionary libertarian socialist. The post-modern French philosopher who died on April 21 is of little interest to us as revolutionaries. We wish to recall his time as a revolutionary before the pressures of a career and the ebbing of post 1968 hopes turned him into a darling of the sociologists. Born in Versailles, educated at the Sorbonne, he spent 10 years as a philosophy teacher in secondary schools. A stay in French-occupied Algeria radicalised him, when he took sides against the French state and for Algerian "independence". Returning to France in 1956, he joined the Socialisme ou Barbarie group, alongside Castoriadis, Senez and Lefort. He contributed many important articles to its magazine. He joined Lefort in breaking away from S ou B in 1963 to form Pouvoir Ouvrier (Workers Power) This had originally been the name of a paper set up by S ou B to appeal to shop-floor workers. Pouvoir Ouvrier retained many of the original ideas of S ou B, believing that a revolutionary organisation was necessary to help bring about the establishment of workers councils. He left this group after 2 years. In 1968, as a lecturer at Nanterre University, he joined the March 22nd Movement made up of students from the Nanterre Anarchist Group and other elements. Here he was active alongside Daniel Cohn-Bendit and Jean -Pierre Duteuil (the first a sell-out to social-democracy, the second still an active libertarian communist). The March 22nd Movement had great influence on the events of May-June 1968 in France.